Dr. Kathy Platoni has been a practicing clinical psychologist for more than 35 years. She specializes in the treatment of PTSD, behavioral medicine and the treatment of chronic pain and chronic, debilitating, and terminal illnesses. Dr. Platoni provides services for multiple police departments in the area of SW Ohio and Northern Kentucky, as well as psychotherapeutic treatment for Veterans, active duty military personnel, and civilian patients. In addition, she serves as consulting psychologist for countless police departments and as psychologist for both Dayton SWAT and the Dayton Hostage Negotiation Team. Dr. Platoni understands pain at the most profound levels. Due to her father’s exposure to radiation during the bombing of Nagasaki during World War II, she was born with congenital defects that have required extensive maxillofacial (bone) reconstructive and bone grafting procedures. No stranger to chronic pain herself, she has undergone 59 major and minor surgeries over the course of the last 34 years to correct these defects, the majority of them with hypnosis as the sole anesthetic. Her last major plastic surgery was featured in a segment of ABC News "20/20" in 1999. Dr. Platoni maintains an appointment as Assistant Clinical Professor with the School of Professional Psychology, Wright State University. She is a skilled hypnotherapist and possesses expertise in the sub-specialty areas of behavioral medicine and the treatment of chronic pain and chronic, debilitating, and terminal illnesses. Dr. Bob Kallus and Dr. Platoni discuss the benefits of using the Alpha Stim to reduce anxiety, pain and enhance the effect of certain medications. As part of Hobart and William Smith Colleges of the series “Ask Me Anything”, Dr. Kathy Platoni answers four questions that will give you insight to her gentle approach and life experiences. Kathy Platoni, Psy.D. has been a practicing clinical psychologist for more than 35 years and maintains her private practice in Centerville, Ohio. In service of her country and as an Army Reserve clinical psychologist, she has deployed on four occasions in time of war. Dr. Platoni served as commander of the 1972nd Medical Detachment (Combat Stress Control) at Guantanamo Bay Cuba from 2003-2004, where combat stress control became a critical element of the Joint Task Force mission in support of Operation Enduring Freedom in the Global War on Terrorism. Having volunteered to return to active duty within weeks of her redeployment from Joint Task Force-GTMO, Dr. Platoni deployed to Iraq in support of Operation Iraqi Freedom, holding the position of Deputy Commander of Clinical Services for the 55th Medical Company (CSC) in Baghdad and seven subsequent locations, finally as Officer in Charge of Team Ar Ramadi, situated the seat of the insurgency and during times of intensive combat. At the invitation of the 3rd Brigade Commander, 3rd Infantry Division upon the conclusion of her tour of duty in the wartime theater, Dr. Platoni reported to the Home of the Infantry, Fort Benning, Georgia for an additional six month mission in order to provide for the reintegration services of the 2nd Battalion, 69th Armored Regiment due to elevated numbers of psychological casualties among combat arms soldiers. Dr. Platoni was last deployed to the combat theater of Afghanistan from 2009 through late 2010 with the 467th Medical Detachment (Combat Stress Control) in support of Operation Enduring Freedom, serving as Clinical Advisor for the medical detachment and Officer in Charge of Team Wilson, Kandahar Province, and Camp Phoenix in Kabul, Afghanistan. She was assigned to the 1493rd Medical Detachment (CSC) in Cary, North Carolina until the time of her retirement. As a survivor of the tragic Ft. Hood Massacre in November of 2009, she is an ardent activist for reconsideration of this shooting incident as an act of terrorism to assure that the wounded and the families of the deceased are awarded long overdue benefits and was very instrumental in the awarding of the Purple Heart Medal to the Fort Hood wounded and to the families of those who lost their lives on that tragic day. Dr. Platoni is a graduate of the School of Professional Psychology of Nova University (now Nova Southeastern University) in Davie, Florida. Subsequent to the conclusion of her doctoral studies under the auspices of the United States Army’s Health Professionals Scholarship Program, she completed her internship on active duty Army status at William Beaumont Army Medical Center in El Paso, Texas in 1984. From 1984 through 1987, she served as Chief of Psychology at DeWitt Army Community Hospital, Fort Belvoir, Virginia. During her more than three decades of both active and Army Reserve status, including a six month tour of duty during Operation Desert Storm, Dr. Platoni developed combat stress control, debriefings and crisis management programs utilized throughout the U.S. Army. She held the position of Army Reserve Clinical Psychology Consultant to the Chief, Medical Service Corp for six years and is a graduate of the US Army Command and General Staff College. Dr. Platoni retired from the US Army with the rank of Colonel in October of 2013. Dr. Platoni maintains an appointment as Assistant Clinical Professor with the School of Professional Psychology, Wright State University. She is a skilled hypnotherapist and possesses expertise in the sub-specialty areas of behavioral medicine and the treatment of chronic pain and chronic, debilitating, and terminal illnesses. Due to her father’s exposure to radiation during the bombing of Nagasaki during World War II, she was born with congenital defects that have required extensive maxillofacial (bone) reconstructive and bone grafting procedures. No stranger to chronic pain herself, Dr. Platoni has undergone 59 major and minor surgeries over the course of the last 24 years to correct these defects, 18 of them with hypnosis as the sole anesthetic. Her last major plastic surgery was featured in a segment of ABC News "20/20" in 1999. She is in the process of completing a series of scholarly articles on this subject and has also published in a number of professional and lay journals on topics relating to Gulf War Syndrome, the psychological aftermath of the events of “9/11”, and professional/medical ethics. 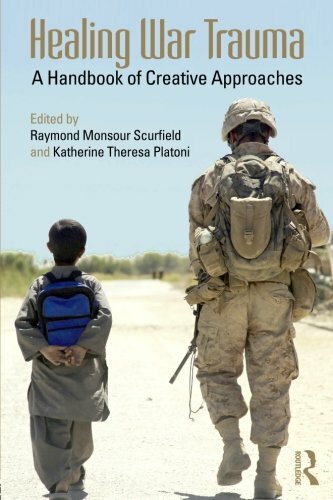 Two landmark books, written and edited by Dr. Raymond Scurfield and Dr. Platoni on the subject of war trauma, Expanding the Circle of Healing~Trauma in Its Wake and Healing War Trauma~A Handbook of Creative Approaches, were published in 2012. She was awarded Diplomate status by the American Academy of Pain Management and was recently appointed Fellow of the American Institute of Stress and distinguished membership in the Institute of Traumatic Stress 2013 Board of Scientific and Professional Advisors and of Veterans 360. In addition, Dr. Platoni holds professional memberships in the American Psychological Association, Ohio Psychological Association, the American Society of Clinical Hypnosis, the Society of Clinical and Experimental Hypnosis, the Association of Military Surgeons of the United States, the Dayton Area Psychological Association, and International Critical Incident Stress Foundation. She also holds the position of Editor of the Combat Stress E-Magazine. Since the “9/11” tragedy and attacks on the United States, Dr. Platoni voluntarily deployed to New York City on two occasions in order to provide disaster mental health and critical incident stress debriefing services to members of the New York City Police Department. She currently serves as the Dayton SWAT psychologist and Mental Health Advisor to the Dayton Hostage Negotiation Team. As a nationally renowned expert in the treatment of Post-Traumatic Stress Disorder, Dr. Platoni has been featured in Fox News, CNN, USA Today, Newsweek, US News and World Report, AP News, The Guardian, Huffington Post, Washington Post, NPR Radio, Stars and Stripes, San Antonio Express News, San Francisco Chronicle, Boston Globe, The Ohio Psychologist, the Wall Street Journal, TIME Magazine, and The National Psychologist. For her professional contributions to the field of psychology and decades of humanitarian service, Dr. Platoni was awarded a lifetime achievement award by her alma mater, Hobart and William Smith Colleges, in 2008 and was selected for the very prestigious Dayton’s Ten Top Women Award for the Class of 2012. She was awarded the Legacy Award for community service and volunteerism in the Southwest Ohio area in April of 2013. She was awarded the Legion of Merit for exceptionally meritorious service by the United States Army on 19 July 2014. Dr. Platoni was the recipient of the 2016 IVAT Returning Veterans Resiliency in Response to Trauma Award. 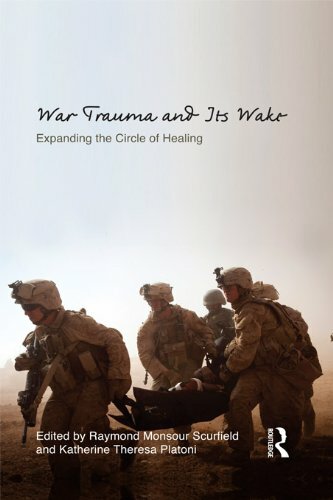 This award is given by the Institute on Violence, Abuse and Trauma (IVAT) to a veteran who has experienced specific trauma in war and whose efforts and advocacy have had a notably restorative impact on a traumatized population. On 14 March 2015, COL Platoni was sworn in as a member of the 4th Civil Support and Sustainment Brigade, Ohio Military Reserve; back in uniform for her 35th year, this time as Chief Psychologist for State Defense Forces.